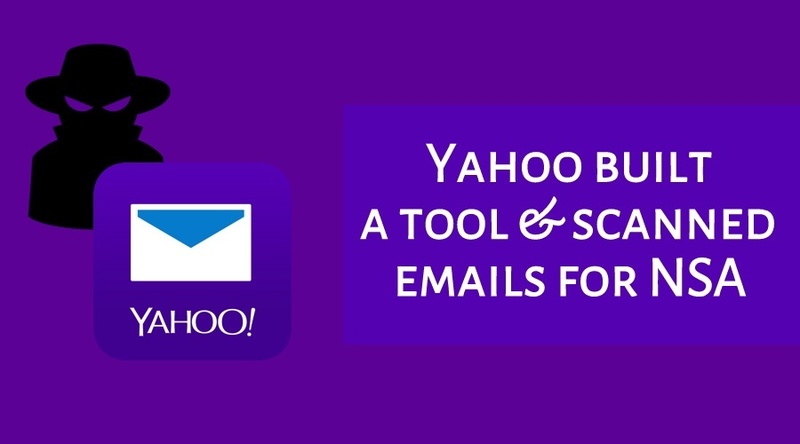 If your primary email account is Yahoo-based, people might judge you. These days, having a Yahoo account and using it doesn’t make any sense. Worsening the situation, a recent revelation by Reuters tells the shocking amount of dedication shown by Yahoo to spy on your emails and pass them to the U.S. government. According to the report, Yahoo designed a secret email scanning software that worked at the behest of U.S. intelligence officials, NSA in particular. This makes Yahoo a serious privacy liability. Reuters’s Joseph Menn reports that this decision led to the resignation of Yahoo’s chief information security officer Alex Stamos. He is now the head of security at Facebook. At the moment, it is not known what kind of information U.S. intelligence wanted. This incident is also the first of its kind as it involves a U.S. internet company agreeing to the government’s demands of reading all the emails, instead of scanning the stored ones or some particular ones. This spying program was signed off by CEO Marissa Mayer and General Counsel Ron Bell. They chose to refrain themselves from taking any kind of input from Yahoo’s security department, who were called the “paranoids” internally. The program was discovered by Yahoo’s security team in May 2015. Initially, they thought that it was kind of hacking attack. Interestingly, due to a programming flaw in the program, hackers could’ve accessed the stored emails. Well, deleting Yahoo account isn’t a tough task. Just go ahead, open Google.com and search the method. This incident, once again, stresses the importance of end-to-end encryption. This type of encryption should be made standard and used by default in all email and messaging applications. We have asked Microsoft, Google, and Facebook to make a comment on their own policies in such situations. We’ll be updating this story if we hear back. Similar remarks were made by Google. “We’ve never received such a request, but if we did, our response would be simple: ‘no way’,” Google told us in an email. Did you find this article helpful? Don’t forget to drop your feedback in the comments section below.